of activity or sport will become evident after the first 5 minutes you meet with us. and massage therapists are available to work with you to reach your activity goals. 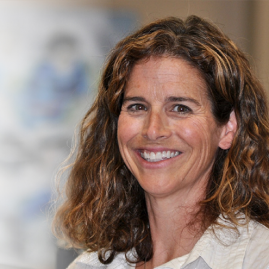 Monica Clarke graduated from the University of Toronto in 1990 and is nationally certified by the Orthopaedic Division of the Canadian Physiotherapy Association (CPA) with a Diploma of Advanced Manual and Manipulative Physiotherapy. She is a Fellow of the Canadian Academy of Manipulative Physiotherapy (CAMPT). Monica is actively involved in mentoring physiotherapists throughout Ottawa and the Valley as they work toward gaining more advanced assessment and treatment skills. She is a registered instructor with the Orthopaedic Division of the Canadian Physiotherapy Association, teaching local courses for physiotherapists in manual therapy, clinical reasoning and assessment skills. Using advanced manual therapy skills, dry needling or acupuncture and exercise form the basis for Monica’s assessment and treatment approach. In her 25+ years of clinical experience, Monica has always focused on working in an active orthopaedic and sport injury environment where exercise and movement are used restore pain free function. Working as a team member with sports medicine physicians, orthopaedic surgeons and other health professionals has been an asset in helping athletes and “weekend warriors” ities. Monica is certified in Functional Movement Screening (FMS and SFMA assessment) as well as being a Good Life with osteoArthritis (GLA:DTM) instructor. Monica has always found assessing and treating injuries of the hip, knee and foot rewarding and has presented at the 2012 and 2016 National Capital Knee Symposium on exercise and physiotherapy for knee osteoarthritis (OA) and treatment following total knee replacement (TKR, TKA). Growing up playing tennis, swimming and lifeguarding Monica has always been active. Now an avid runner and downhill skier and with children who played hockey, soccer and lacrosse locally she has an interest in prevention and treatment of sports injuries. Mary Foley graduated from Dalhousie University in 1991 with a (B.Sc in PT). In 1988, she graduated from the University of New Brunswick with a degree in Physical Education (BPE Sports Science). Post graduate training includes manual therapy, acupuncture and extensive training in the McKenzie approach for mechanical diagnosis and treatment of spinal and peripheral conditions. Mary has gone on to complete the McKenzie International Credentialing Examination. 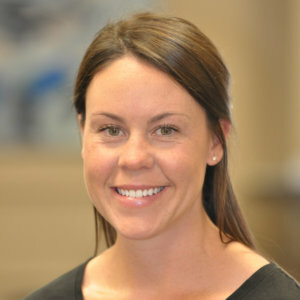 She is a member of the Orthopaedic and Sport divisions through the Canadian Physiotherapy Association. 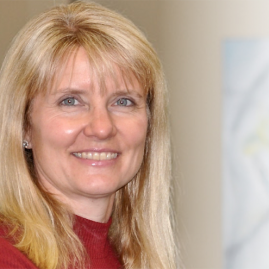 Mary’s 25+ year physiotherapy career has focused on orthopaedic conditions. Most of her work experience has been in clinics with a team of Sport Medicine Doctors, Orthopaedic Surgeons and other health care professionals working together to help recreational and competitive athletes reach their functional goals. She attends monthly sport medicine rounds, conferences, courses and symposiums to stay up todate on the latest evidence based practices. For example, studies are confirming the idea that exercise is good medicine and Mary is excited to educate her patients on their condition and the role exercise has on their recovery.With three children involved in competitive soccer and having competed herself provincially as a track and field athlete and nationally as a competitive gymnast, Mary holds a special interest in injury prevention and rehabilitation for the athlete and weekend warrior. Recent certification to administer evidenced based injury prevention programs and functional improvement training include: Functional Movement Screening (FMS), (SFMA), “Y” Balance testing and GLA:DTM Canada training, a program for early/moderate arthritic hips and knees. Micheil Hill graduated from the University of Toronto in 2003 with a M.Sc. PT after earning a B.Sc. in Human Kinetics at the University of Guelph. He is currently pursuing completion of the Manual Therapy Intermediate Practical Exam on his way to a Diploma of Advanced Manual and Manipulative Physiotherapy. Micheil has mentored under Monica Clarke P.T. and completed post graduate courses in manual therapy and acupuncture. Micheil began his career in Pembroke, treating orthopaedic injuries including work with Canadian Forces personnel and players from the local CJHL Hockey Team. Micheil’s interest in sports injuries stems from his own participation in whitewater canoeing, climbing and hiking. As a part-time professional guide he takes clients hiking and canoeing in the Yukon, Northwest Territories and Nunavut. Peggy-Rae graduated from Queen’s University with a double degree in Physical & Health Education and Biology, and a Master’s of Physical Therapy degree from the University of Toronto. Since graduation, Peggy-Rae has been working at outpatient orthopaedic clinics in Toronto and back home in Ottawa. Peggy-Rae is committed to continually expanding her knowledge base by taking continuing education courses. She is a certified acupuncture provider, has completed Level 1 and Level 2 Manual Therapy, McKenzie Mechanical Diagnosis & Therapy Part A, B & C as well various myofascial release technique courses. Healthy, active living has always been a priority since competing at the provincial level in competitive soccer and rugby. As a member of the Varsity Women’s Rugby Team at Queen’s University, she truly developed her passion for physiotherapy as she went through not one but two ACL reconstructive surgeries and the resultant rehabilitation. Although rugby is no longer part of her sporting life she continues to participate in soccer, volleyball and ultimate recreation leagues around the city. Peggy-Rae also has a love of running and enjoys hiking, biking, cross country skiing and snowboarding in her spare time. Michelle Hipwell has been practicing as a physiotherapist since 2006. 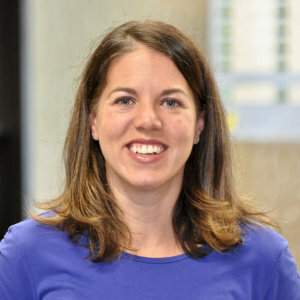 Michelle obtained her bachelor’s degree in Human Kinetics from the University of Ottawa in 2004 and her masters in Physiotherapy from Queen’s University in 2006. 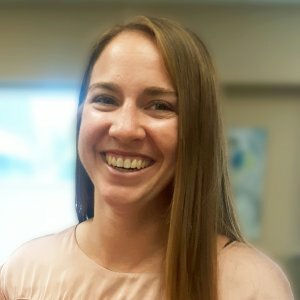 She has since completed additional training in manual therapy, acupuncture, the Mckenzie method, soft tissue release, and is a certified (sports) First Responder. Michelle currently provides event coverage in lacrosse for the Capital Region Axemen of the Quebec senior lacrosse league. Her joy is to work with people of all ages from many walks of life, and in particular, helping and empowering clients to improve their quality of life. She is a wife and mother of two young children, enjoys playing soccer and is an avid Ottawa Senators fan. 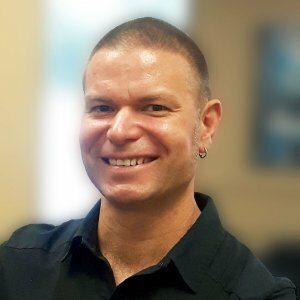 Chris has been a registered massage therapist since 1991. Chris treats musculoskeletal disorders, sports injuries, pre and post surgical conditions, fibromyalgia and TMJ dysfunction. 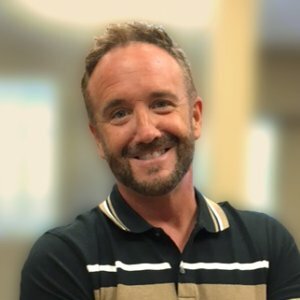 Chris enjoys working with individuals with specific injuries and issues and has taken additional courses in myofascial release, trigger point therapy, TMJ and sports massage techniques. Chris has extensive experience working with teams of professionals including physiotherapists and sports medicine physicians. With a love of outdoor activity Chris can be found boating and wakeboarding in the summer and snowboarding all winter long. Andrea Fitzgerald was born and raised in Ottawa. She grew up playing competitive ringette in Nepean at the AA and A levels throughout her career. Andrea’s love of sports and physical activity have always been an important part of her life and making the decision to enroll in Kinesiology was an easy one. She received her BSc Kin. at Dalhousie University in Halifax. Following her undergraduate studies, Andrea gained experience and an interest working in a busy sport medicine environment at the University of Ottawa Physiotherapy Clinic for 3 years. Also looking for an adventure, Andrea travelled to Scotland where she attended and graduated with her MSc in Physiotherapy from Queen Margaret University in Edinburgh, UK. Andrea is passionate about helping patients reach their goals. Her treatment approach emphasizes movement re-education, strengthening, mobility and manual therapy. Andrea enjoys running, biking as well as strength and interval training. Our physiotherapists value working one on one with patients using manual therapy, education and exercise. If this is also your focus we offer a friendly, supportive environment in which to practice in an active community. Level 2 or 3 manual therapy or McKenzie A and B would be an asset but are not required. Manual therapy and McKenzie mentoring is available. We are proud of our friendly and professional office staff. If you value working in an active community with a dedicated and friendly team to support your clients, we’d be happy to hear from you. We partner with clubs to provide injury prevention assessments and education for parents, athletes and coaches. If you are interested in partnering with us to promote health and injury prevention in the community please contact us.